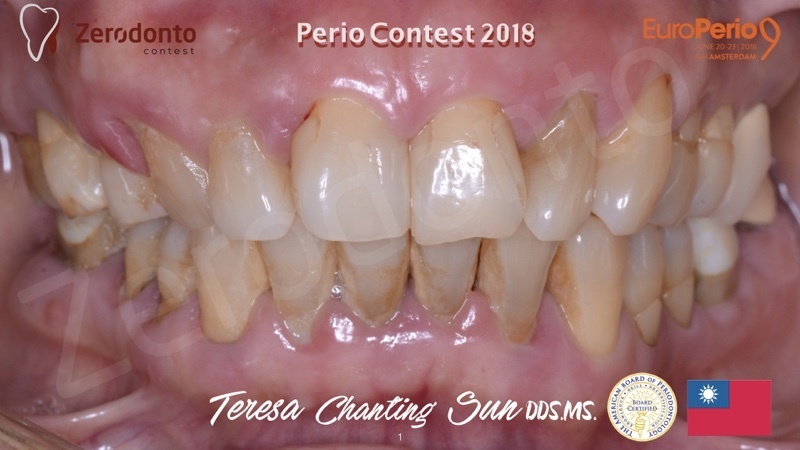 Periodontal Plastic Surgery to Improve Aesthetics in Patients with Altered Passive Eruption/Gummy Smile : case report. 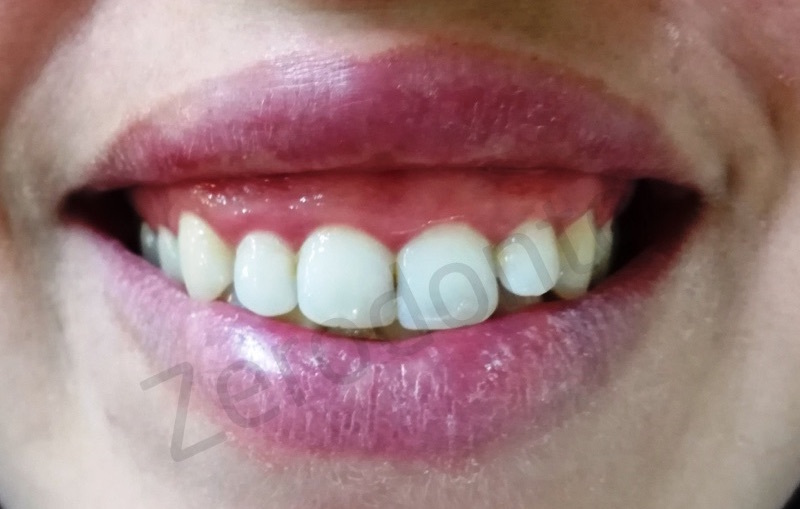 MATERIAL AND METHOD: A 31-year-old patient complaining of a gingival smile with square teeth, she was diagnosed, based on the clinic and x-ray, with an impaired type 1A passive eruption. CONCLUSION: Gingivectomy, in the case of treatment of gingival smile, can give very good results when its indication is well posed. 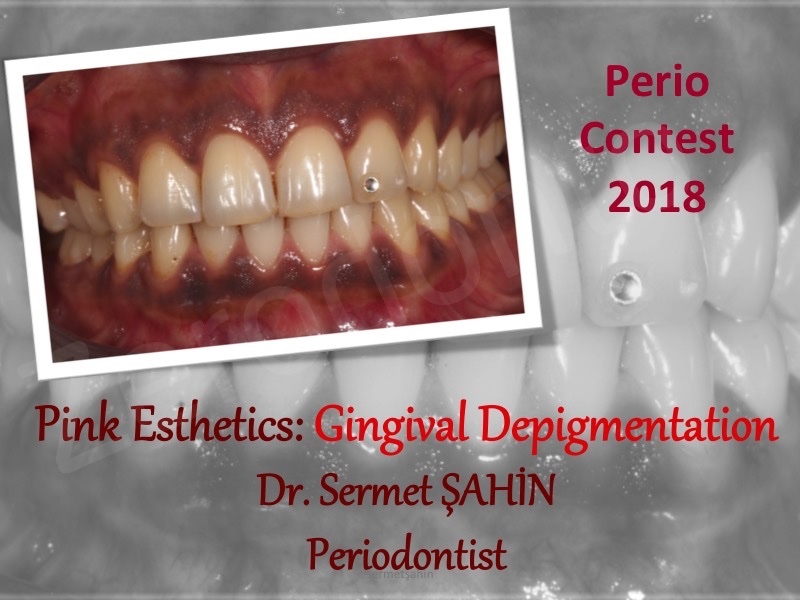 Aesthetics, gingival smile, periodontal surgery, altered passive eruption, gingivectomy. Aesthetics is a real topical theme. The smile occupies a privileged place in the esthetics of the face, it plays a determining role as well in the expression and the facial appearance as in the social interaction of the individual. Having a bright, balanced and harmonious smile represents the aesthetic demand of our patients . The « gummy smile » is characterized by the exposure of a large amount of gum during the smile. It is therefore considered unsightly and affecting aesthetics and therefore nonverbal communication. The smile is said to be gingival if more than 03 mm of gum are visible during a restrained smile . This is the case of a 31 year old female complaining of excessive gingival display (Fig. 1). 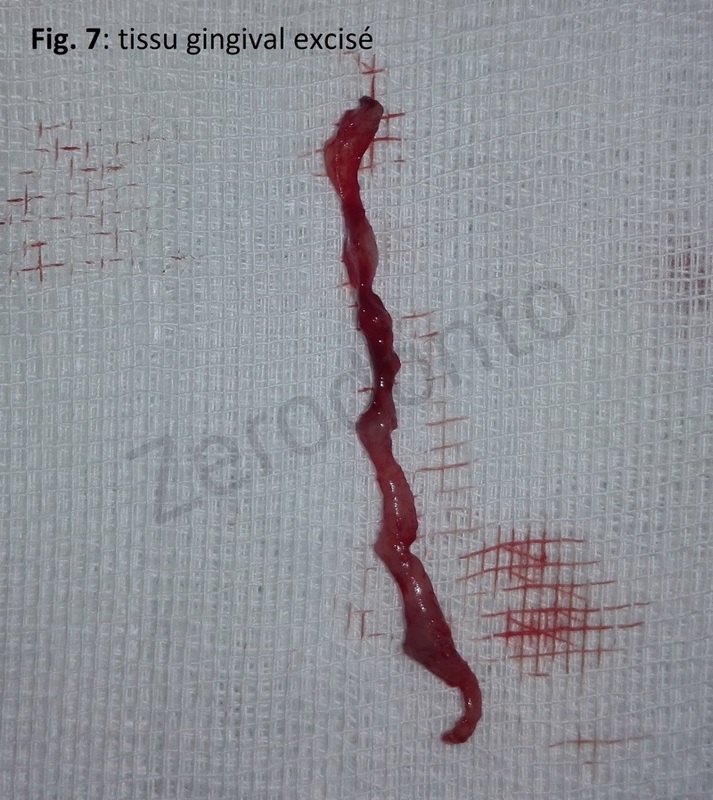 The patient showed poor oral hygiene, gingival inflammation and spontaneous bleeding in several sites (Fig. 2). 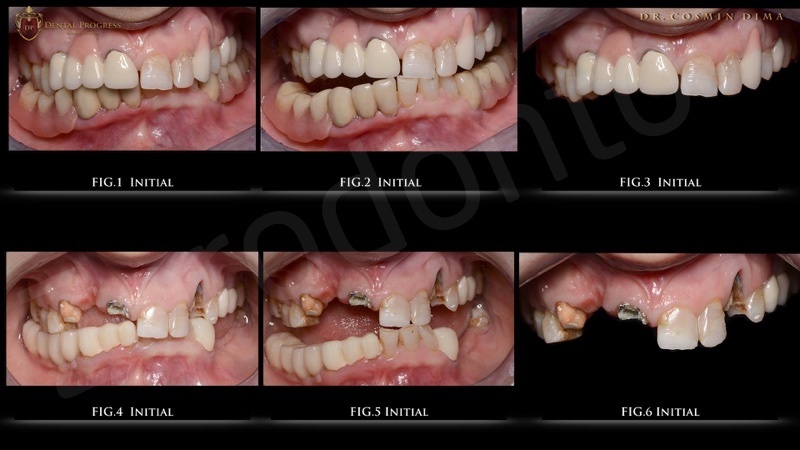 After initial therapy consisting of oral hygiene instruction, scaling, the gingival condition improved. This case was diagnosed as delayed passive eruption of type I, subtypes A. Probing depth was 01 à 02 mm. Bones ounding was carried out to determine the leve of buccal bone and the position of the CEJ in relation to the gingival margin, it was 03mm (Fig. 3). Radiographic examination (Fig.4) revealed no boneloss and the limited biologic width; The osseous crestis is far from the cementoename junction level. were removed and the true lengths of the clinical crowns were exposed (Fig. 7). 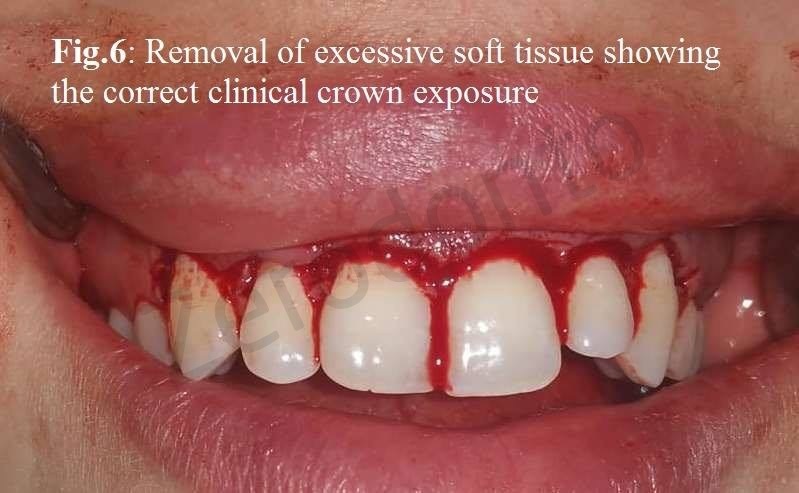 Gingival exposure during the smile is considered unsightly (Hunt and Johnson, 2002). The beauty index is given to smiles whose maximum gingival exposure is between 0 and 2 mm; with ideally a smile not exposing gum. However, the index of attraction decreases considerably with 3 mm or more of gingival exposure. 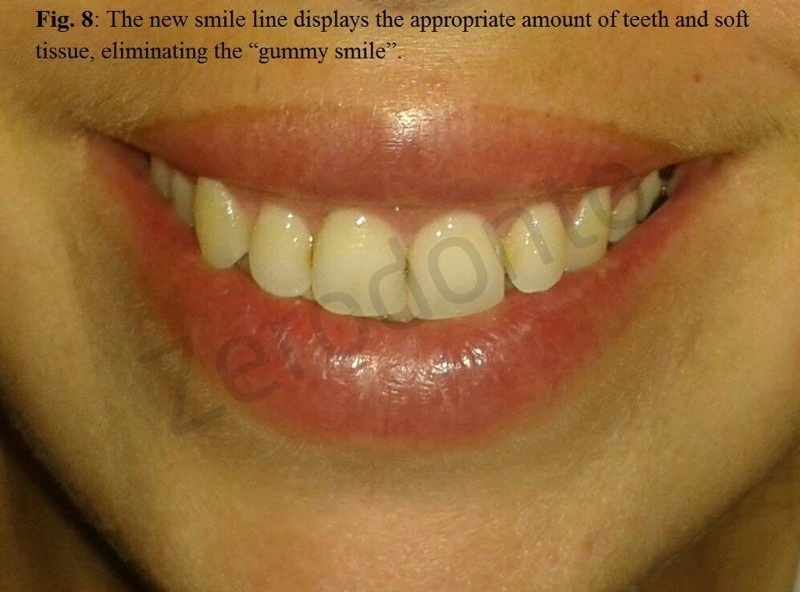 The study by Geron and Atalia reported that a gum exposure of 1 mm at the smile is considered unsightly by the public. The smile becomes less attractive as the amount of exposed gums increases . ,an upper lip that is too short (below 20 cm : Vig and Brundo), or hyperactivity of the levator muscles of the upper lip [1, 2].Are also implicated in the etiology of excessive gingival exposure: microdnea  and the composite eruption (tooth wear) . The treatment is global and multidisciplinary  .The therapeutic solution includes various combinations: orthopedic, orthodontic, surgical and periodontal according to the established diagnosis. Beside these means, treatment with botulinum toxin may be considered . The means for correcting the gingival smile in periodontal surgery are: the gingivectomy and the apicalally repositioned flap. This surgery can be performed a one or combined with orthodontic or prosthetic treatment. 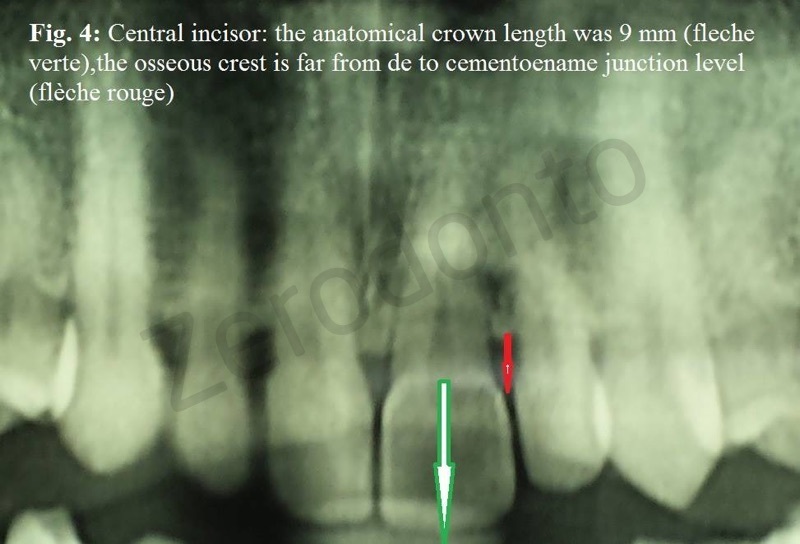 distance between the cemento-enamel junction and the bone crest is <1 mm. Type II: the size of the measured gingiva from the free marginal gingiva to the muccogingival line is normal (3 to 5 mm). This classification is important in the choice of the therapeutic procedure. The diagnosis of the altered passive eruption involves the evaluation of the patient’s age , the depth of the dental gingival sulcus and the clinical heights of the crowns, as well as a complete radiological analysis. 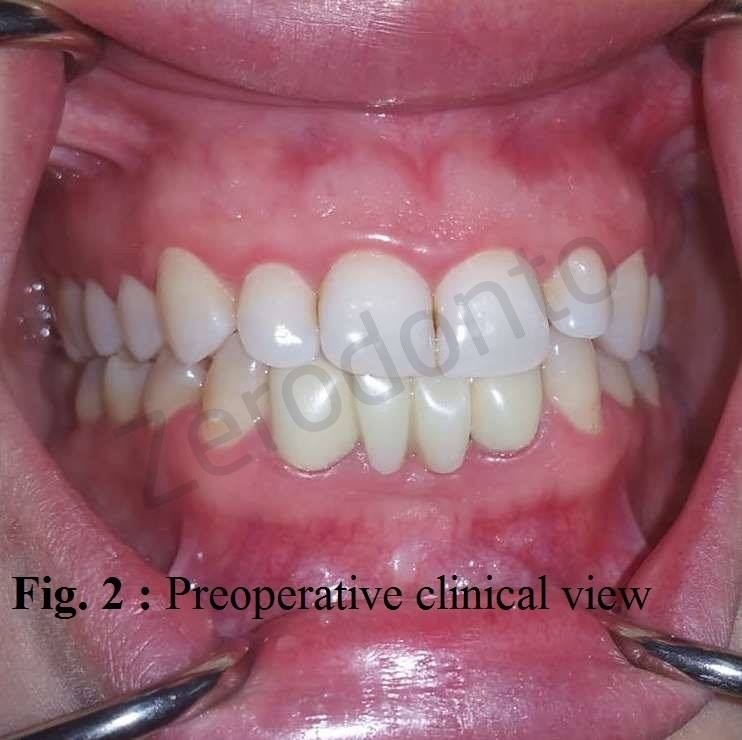 In the case of incomplete IA type passive eruption, performing an internal bevel gingivectomy is sufficient for treatment, bone resection associated with gingival remodeling is required in case of incomplete IB type passive eruption  . In type II, there is no excess gingiva, the use of a flap displaced apically with or without bone resection is necessary; performing a gingivectomy is not indicated . 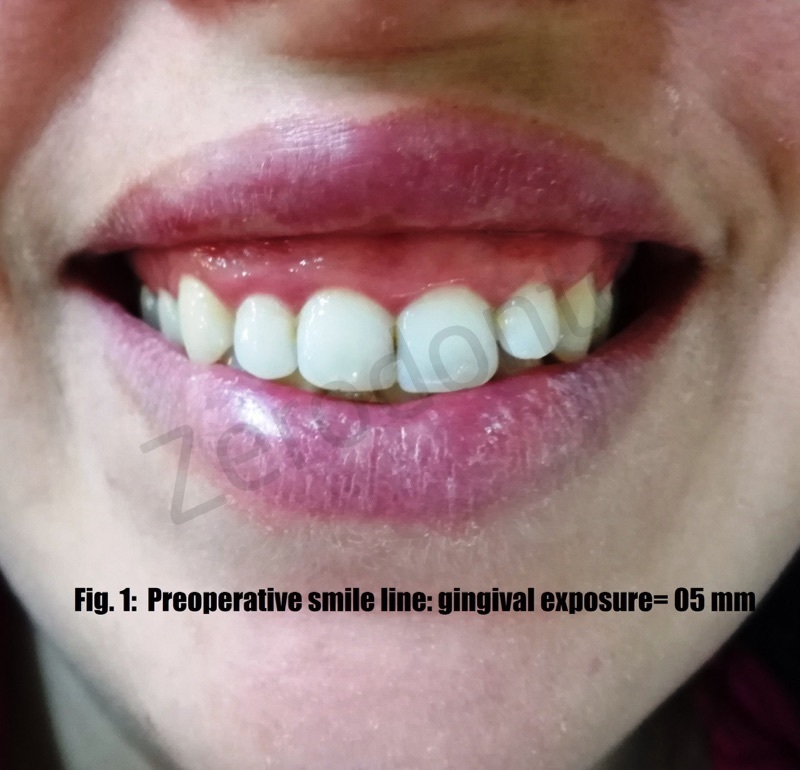 The gingivectomy, in the case of the treatment of the gingival smile, can give very good results when its indication is well posed.
. Benkaddour A., Rerhrhaye W., Ismaili Z., Azaroual M. F., Regragui S., Aalloula E.,La réhabilitation du sourire gingival en orthodontie. Actualités Odonto-Stomatologiques – n° 255 -septembre 2011. .Edwige Toca, Jean-Christophe Paris, Jean-Louis Brouillet, Exposition gingivale excessive quel sourire ? 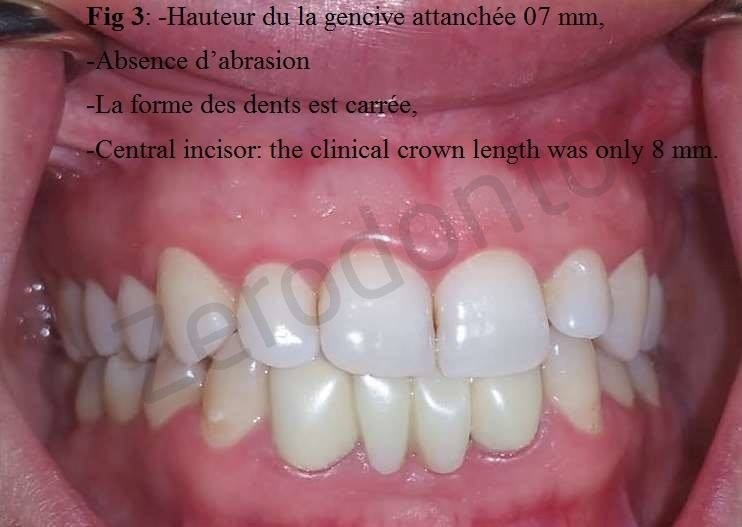 L’INFORMATION DENTAIRE n° 11 – 12 mars 2008.
. Rossi R., Benedetti R., Santos-Morales R. I., Treatment of Altered Passive Eruption: Periodontal Plastic Surgeryof the Dentogingival Junction. The european journal of estheticdentistry volume 3 • number 3 • autumn 2008.